Rubén Beltran, Ambassador of Mexico to the Russian Federation from January, 2013. A diplomat by education, he started his career in the Mexican diplomatic service in 1981. Among other positions, he headed General Consulate of Mexico in New York (2007-2010), General Consulate of Mexico in Phoenix, Arizona (2001-2003) and was deputy secretary on Latin America and the Caribbean. In 2015, Mexico and Russia will celebrate the 125th anniversary of their diplomatic relations. This is not such a long period; however, during 124 years the countries faced a lot of drastic changes of various types and nature. Today, the status of their political dialogue is best suited for such “revival” of relations between the states. They show mutual interest and willingness to boost their relations in various sectors. We are updating the regulatory framework between the countries to give a new trend to our relations. Currently, the countries are discussing a new contract for mutual investment protection. In 2014, Moscow will host the 6th meeting of the Joint Mexico-Russia Commission which will strengthen the existing relations and open up new venues for cooperation. Both Presidents, Enrique Peña Nieto and Vladimir Putin, took their presidency in 2012 and both their terms expire in 2018. They both succeeded in boosting positions of their states on the international scene. Today, Russia ranks among the key players on the international scene. It hosts various multi-party forums, such as 2012 APEC, 2013 G20, and plays a key role in many global summits. Besides, as the host of such global sports events as the 2013 Kazan Student Games, the 2014 Sochi Winter Olympics and the 2018 Soccer World Championship, Russia is the focus of attention worldwide. On his part, President Enrique Peña Nieto has launched a series of reforms to reset and upgrade the government authority system. 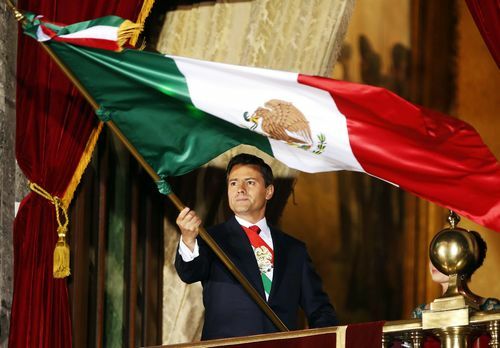 Just within 14 months, Mexico approved critical reforms in education, telecommunications, government finance and transparency in financial, energy and election sectors. The reforms contemplate five key focuses of Nieto’s presidency – Peace in Mexico, Transparency of Mexico, Quality Education of Citizens, Booming Mexico and Mexico as a Global International Scene. In 2011, Mexico joined the Pacific Alliance along with Chile, Colombia and Peru. Mexico and Russia share their interests in the presence and opportunities in the Pacific Region. Both countries have good opportunities to gain momentum in boosting their bilateral relations. The economies of both countries provide good prospects to increase trade volumes (which reached over USD1.7 billion in 2013) and enhance business relations. Russia’s economy is the ninth largest and Mexico’s economy is 11th largest in the world. There are a lot of other opportunities in such sectors as motor industry, energy, aerospace and agriculture. Such well-known Mexican companies as Grupo Maseca, Nemak, Cemex, Mabe or Katcon has been present in Russia. During the last year, the countries have completed such major economic deals as purchase of 20 Sukhoi jets (with an option to buy 10 more) by Interjet or launching Satmex-8, a Mexican satellite by Roscosmos in March 2013 from Baikonur. An important step which also confirms Mexico’s interest in expanding trade relations with Russia includes opening of the Moscow representative office of ProMexico, an agency to promote Mexican export and investments in Russia. ProMexico office will be established in the coming few months. On January 24, Russian-based Lukoil and Pemex have signed a cooperation agreement in Davos which was the first transaction signed by the Mexican oil industry upon approval of the energy reform. Currently, the countries review the possibility to sign the agreement on the visa waiver agreement. The countries have already relaxed visa requirements for Russian citizens. Russians may file online applications for Mexican visas via the Electronic Application System without the need to obtain such visas. Such simplified visa requirements introduced in 2010 and the efforts by the Mexican government to develop tourism through the Tourist Council and the Mexican Embassy have boosted the number of Russian tourists arriving to Mexico. According to official information, Mexico was visited by 11,603 Russians in 2009 which number has materially increased since that time. In 2010, this number went up to 27,137, in 2011 to 41,944 and 2012 to 77,034. In early 2013, we planned to reach 100,000 visitors from Russia to Mexico. According to recent information, the number of Russians visiting Mexico last year hit 107,770 people and exceeded the initial goal. This means that during the last 5 years, from 2009 to 2013, the number of Russian tourists visiting Mexico went up 828.8% in 2013; and the Russian tourism market became the second fastest growing in Mexico after the Colombia market. In this context, we aim at 135,000 Russian tourists to visit Mexico in 2014. For this purpose, along with enhancing tourism promotion in Russia, we will focus our efforts on diversifying tourism to Mexico on the Russian market. Currently, direct regular Transaero and Aeroflot flights from Russia arrive to Cancun which is both a major tourist attraction and the entrance door to Mexico. Over 30 flights leave to Mexico City from Cancun Airport on a daily basis. Mexico has many opportunities to offer on the Russian tourist market. From Quintana Roo to Baja California, we have a lot of tourist spots offering great cultural, archeological and gastronomical experiences, including beaches, nature and active tourism, among other things. For the purpose of tourism promotion in Russia, the CPTM Mexico City Mexico´S Tourism Board will open its representative office in Moscow in 2014. Along with tourist promotion Mexico will hold a series of cultural events in 2014, both in Moscow and St. Petersburg and in many other Russian cities. The Russian audience will be exposed to Mexican traditions and modern artistic trends, such as clothes design and installations, through a series of films, conferences on art, history and culture, art exhibitions and festivals. Modern advanced Mexico will be represented by young authors using new vehicles of expression. The parties have agreed to pursue their dialogue within the multilateral program. Thus, they will employ consultations on multilateral themes. Mexico and Russia share interests in such matters as nuclear disarmament, the 2015 development program, fighting the organized crime, reforms in the UN Security Council and Syria conflict, among many other things. They also seek to enhance their relations in many other spheres, such as Asia-Pacific Parliamentary Forum which last session was held in Puerto Vallarta. On the other hand, Mexico may share its experience and practice of work in the World Trade Organization which Russia joined in 2012. Mexico is looking at the process of Russia’s joining the Organization for Economic Cooperation and Development. Thus, this moment is favorable to upgrade relations between Mexico and Russia in the bilateral and multilateral sectors existing between the two countries. We will make our best efforts in this area.